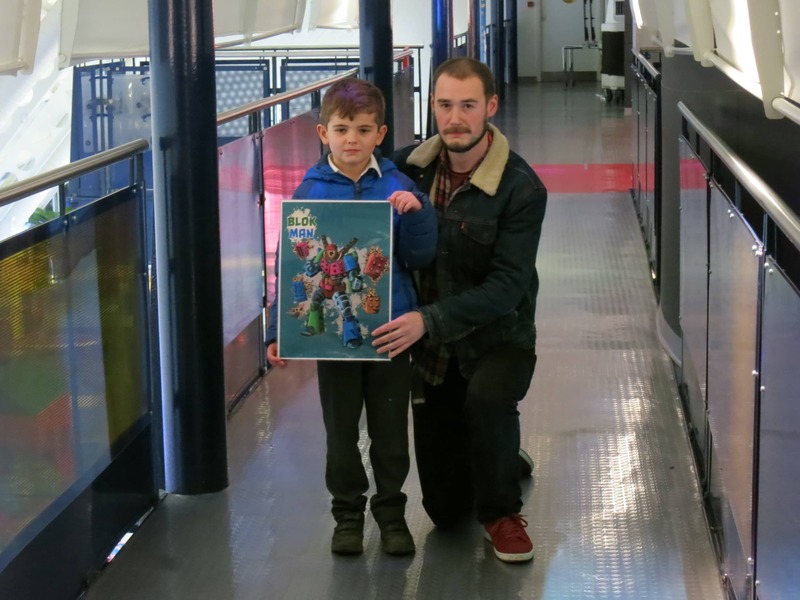 An ‘absolutely thrilled’ Jack Hamilton, who attends Murroes Primary school, popped into Dundee Science Centre after school with his Mum Rochelle to meet Norrie Millar, freelance Comics Artist based in Dundee Comics Creative Space. The Dundee Science Festival Superhero Competition was launched on Halloween during the family fun day, ‘Superheroes and Monsters’. The challenge was to draw and design a Dundee Science Festival Superhero, from what they would wear and look like to inventing the technology and science behind their powers and abilities. The winning design has now been turned into a real superhero character through Diamondsteel Comics. This character will also be branded into the Dundee Science Festival 2016 marketing campaign.